Through a team of specialists, we provide a caring and trusted environment that inspires and educates our patients to become active participants in their wellbeing. Welcome to Bissell Clinic, formerly Bissell Chiropractic Sports Medicine. Your good health is vital to your quality of life. At Bissell Clinic, we understand. And we can help. Our mission is to bring health, motivation and an improved quality of life to as many individuals as possible. We believe that the maintenance of health is far superior to the treatment of disease. Our health is among one of our most valuable possessions. Led by Dr. Charles Bissell, our Santa Barbara clinic offers you a full-service chiropractic and Physical Therapy facility with state-of-the-art training and rehabilitation services and equipment, staffing three physical therapists and two doctors of chiropractic who can treat your aches and pains from head to toe. In addition, we offer Spinal Decompression, Manipulation Under Anesthesia, Shockwave Therapy, Rapid Release Technology and Massage Therapy. 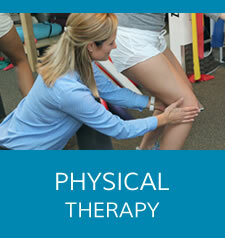 We utilize only the latest, safest, and proven therapies to personalize your treatment for your specific health needs. From neck and back pain relief, sciatica and disc bulges, to the treatment of sports injuries, physical therapy and more, Bissell Clinic provides you with the comprehensive, individualized care you need to enjoy a healthy, pain-free life. 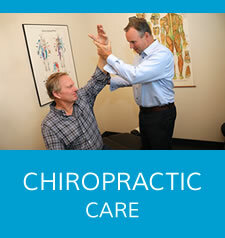 Contact your Santa Barbara Chiropractor now to schedule an appointment! If you live in Santa Barbara, Montecito, Carpenteria, Summerland, or any of the surrounding areas; call (805) 565-5252 to fix your pain today! Charlie turned my life around – by giving me adjustments. I experienced for the first time what it was like to stand and walk straight. Having straight posture in turn has helped me with my self-esteem and confidence. Moreover, Charlie is one of the few people who really cares about his clients. After suffering from back pain for seven months, my symptoms have all but disappeared in two and a half weeks. I’ve been able to resume daily activities without pain. Spinal Decompression Therapy has been very effective and Dr. Bissell was especially informative and helpful. Dr. Charlie Bissell has a host of fans and I am one of many. Three years ago, I bent over to get an egg out of my refrigerator, tweaked my back and could barely walk. Three sessions later, I was good as new. I was diagnosed with a 7mm disc herniation in my neck and was told that I would need surgery. Instead, I opted for Spinal Decompression Therapy. After two months of care, the disc-herniation had shrunk by 6mm! I strongly recommend the treatments for anyone with disc issues.